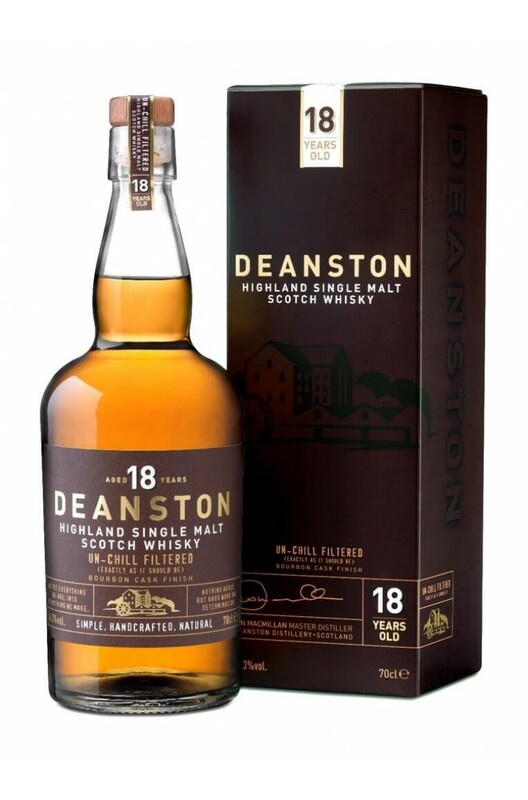 Initially matured in 2nd fill Bourbon casks before being finished in 1st fill Bourbon casks, the Deanston 18 Year Old has bountiful notes of honey, caramel, vanilla and toasted oak. Released in 2014, the 18 Year Old has been a welcome addition to the Deanston range. Aromas (without water) Quite aromatic, with balanced American oak notes. Floral, malty, grassy, vanilla and honey with hints of tobacco and nutmeg. Palate (without water) Sweet and spicy, citrus, barley sugar, gingerbread, Manuka honey and white pepper flavours. The 12 year old Deanston has been solely matured in ex-Bourbon casks and does not even have the f..
A great expression of Deanston that has been from young-ish whisky matured in fresh virgin Americ..